I was driving home today and took a small detour to check on the new houses going up on the side street near my house. 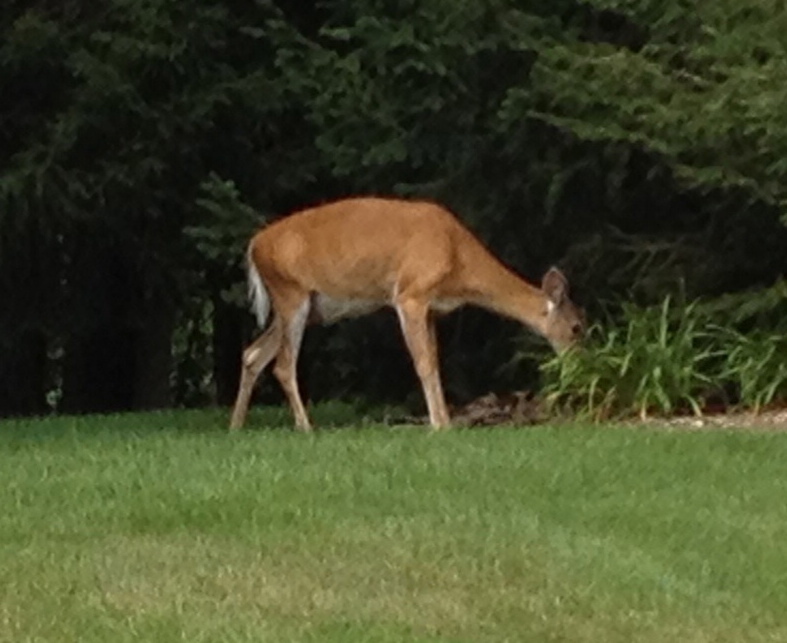 As I returned and pulled up to the stop sign, I looked out of my window into my neighbor’s front yard. Now I understand why some of their plants have been looking a little ragged lately! 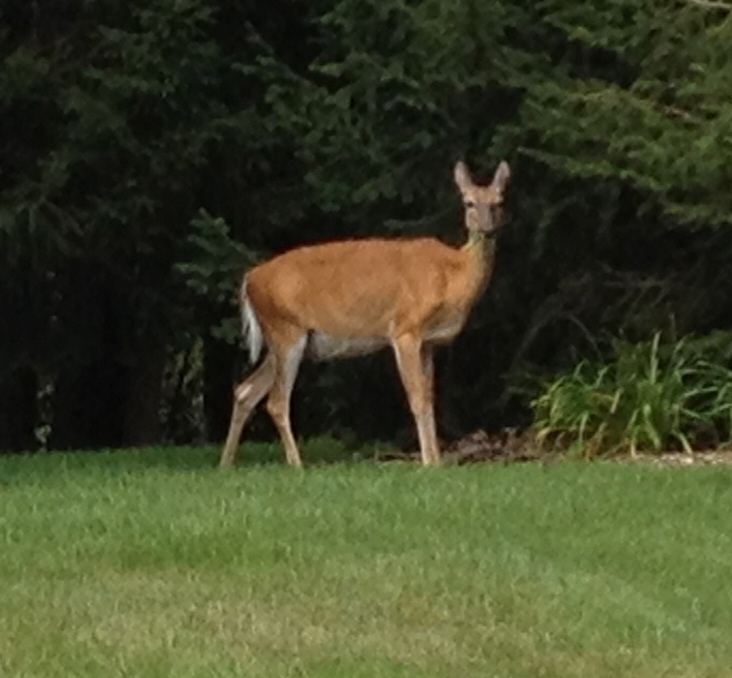 After a few minutes, she took off and ran off…right into my back yard. Crushed Red Peppers mixed with egg whites to act as a binder. Sure to keep the critters away.